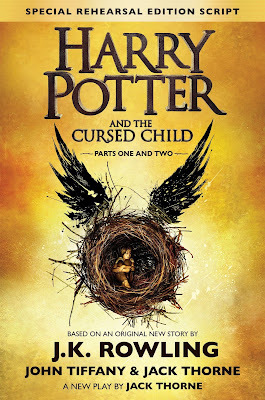 Book Review: Harry Potter and The Cursed Child Parts 1 & 2. Hey, everyone! I hope you're doing well. I have read SO many books lately that I have a big list of book reviews to do, haha. So let's begin with one which is being completely hyped up right now (without spoilers)! This is, of course, Harry Potter and the Cursed Child. This is what everyone is talking about right now - the hype is real! I know I've put 'book review' but this isn't a book. It is a two part West End stage play written by Jack Thorne based on an original new story by Thorne, John Tiffany and J.K. Rowling. It is a rehearsal script, not a novelisation of the play, but it is the eighth story set in the Harry Potter universe. Set 19 years after Voldemort's defeat, the script picks up where the seventh book, Harry Potter and the Deathly Hallows, ended. Harry Potter is now the Head of Magical Law Enforcement and has three children with his wife Ginny Weasley: James Sirius, Albus Severus and Lily Luna. Hermione Granger is now Minister of Magic and also has two children with Ron Weasley: Rose and Hugo. This story follows Harry's son Albus' journey as he struggles to cope with being put in Slytherin and being different to his father. He becomes close friends with Draco Malfoy's son, Scorpius, on this new adventure. I don't know if anyone else felt like this but when the story picked up from where the last book/film ended, it made me feel all nostalgic and like a kid again. I have really missed waiting for a new Harry Potter book or film to come out every single year since the last film came out in 2011. In the beginning, the script really made you feel like you were picking up from where we last saw Harry. The story overall was pretty good, I enjoyed reading it. It was great seeing where Harry, Ron and Hermione were like as adults and how they have grown to become who they are. It was also refreshing to see that Harry still suffers from his past (morbid, I know) because he went through ALOT as a kid if you think about it. So it's good that his traumatic past isn't just glossed over. Nobody would be 100% fine with everything that he went through! His dreams and feelings of resentment are expertly described and played out perfectly. It was lovely seeing Ron and Hermione still being completely in love with each other all these years. Their relationship is subtly explored more throughout the script and their endless flirting and bickering is just too much for my heart to take! Especially Ron's suggestion of renewing their vows, omg! The story itself is smart and good. I enjoyed reading how Albus and Scorpius became friends and I love their friendship despite the legendary fact that Potters and Malfoys have notoriously never gotten on with each other. They both struggle with their fathers' legacies and worry about how to live up to them with disastrous consequences. But, as always, there's a few cons. First of all, it's a script. I knew it was a script when I was buying it but I am so disappointed they chose to do this. The entire concept and story had so much to it. It really should have been a fully fleshed out book rather than a script. Some scenes and moments were very rushed for me and I would've loved them to have been more detailed and slowed down. At the end of the book, I was half expecting them to get together! And that actually would've been nice to see rather than the usual heterosexual relationship ending like always. Also, we hardly hear from Harry's other children or Hermione and Ron's. I know the story is mainly about Albus and Scorpius but it would've been nice to have seen more input from the others. I mean, particularly Rose, who seemed to have only been there to be a reminder why Albus and Scorpius can't be together as you see towards the end. There is alot more I could criticise but I can't without spoiling the book so I will leave you to read it and make up your own minds. 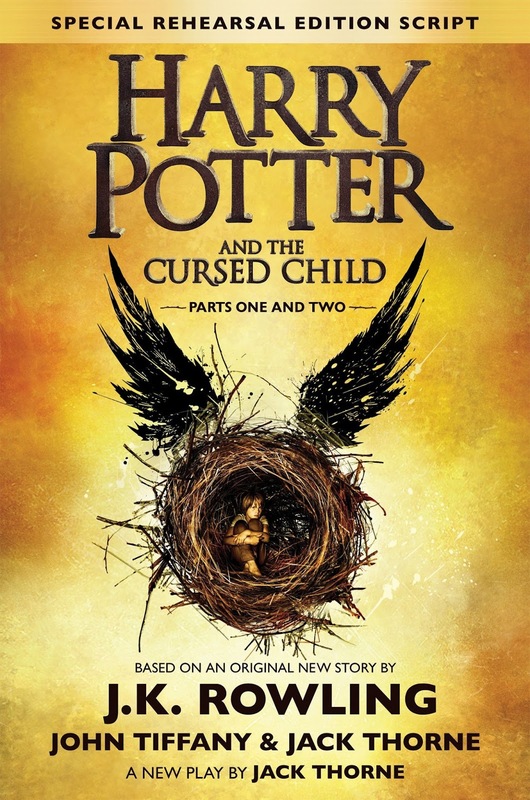 On the whole, I did enjoy reading a new Harry Potter book but it is far from perfect. Have you read this? Let me know what you think! 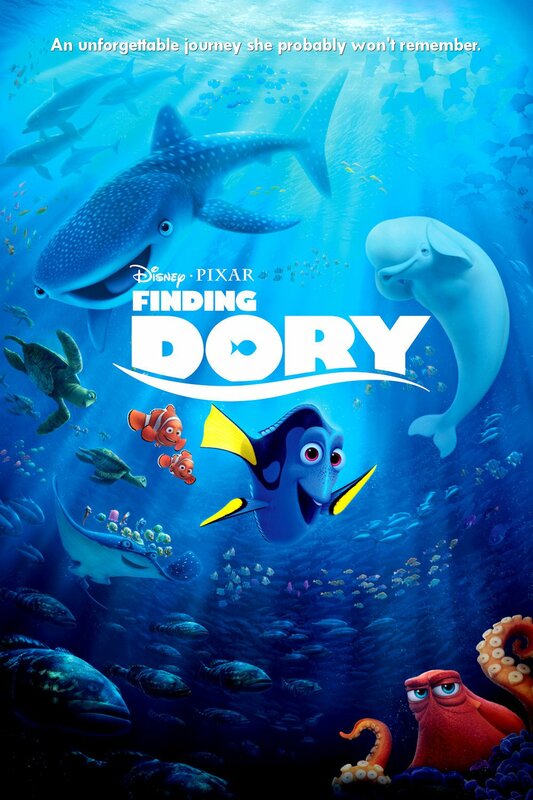 Film Review: Finding Dory (2016). Hey everyone. Sorry I've been so AWOL, I've been busy celebrating my graduation and I haven't felt the motivation to blog recently. Anyone felt like this lately? Any tips to get me back into blogging? While I wait for answers, I have a film review for you! And it's for Finding Dory, of course. I cannot even tell you how long I have waited for a sequel to Finding Nemo and it's paid off.. after 13 years (OMG WHAT), the blue fish is back and making me cry with laughter once again. So, let's get into the background and the review (without spoilers)! 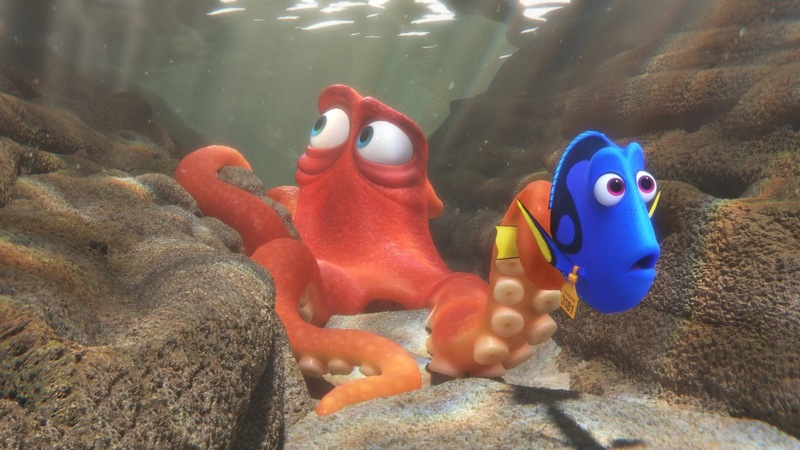 Finding Dory is the sequel to Finding Nemo and follows Dory's new adventure, a blue tang fish who suffers from short-term memory loss. The only thing she can remember is that she somehow got separated from her parents when she was a child. With the help of her old friends, Marlin and Nemo, as well as some new friends, she sets off on a new adventure to find them again. Her journey takes her to the Marine Life Institute, a conservatory that saves and looks after different species of animals from the sea.. and somewhere her parents are trapped in there. 13 years is a long, long time to wait for a sequel especially for a very popular film such as Finding Nemo. But Finding Dory was absolutely fantastic! But 10 minutes in and I was already emotional, sending me some flashbacks to the first film! Goddamnit, Pixar you know how to pull on my heartstrings. Baby Dory is possibly the cutest thing I have ever seen! Oh my god, throughout the film you get flashbacks to her and she just made my heart melt every single time. She was absolutely adorable and her story is heartbreaking. Older Dory is just funny as always with her one liners and just her personality in general. It was great hearing Ellen Degeneres voicing the fish once more. Her journey took her to a marine conservatory which had Sigourney Weaver's voice over the intercom, telling guests about the sanctuary which added SO many laughs to this film! 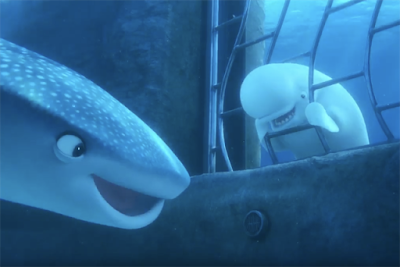 The film is basically like the first one with Dory trying to find her parents just like Marlin did with Nemo. But this story really holds its own with old favourite characters coming back but also with some new hilarious additions to the cast. Hank the octopus... oops, the septopus, according to Dory, because he's missing one tentacle! He was a grumpy but hilarious character, helping Dory navigate her way throughout the sanctuary. Destiny the whale shark (who is short sighted) and Bailey the belgua whale (who has a brain injury) are absolutely fantastic. It's revealed that they're Dory's childhood friends which helps her remember more of her past life with hilarious consequences. Besides all the witty one liners and recurring jokes, the story has a wonderful message alongside it. Sure, Dory is very forgetful! Sure, Destiny can't see very far and Bailey's echo location doesn't work anymore but they're still helpful in their own way. The film teaches us that no matter what your limitations are, if you believe in yourself enough, you can do anything which is proven by Dory herself. It is a beautiful message and one I hope that children understand and apply to their own lives. It really is a great family film and a positive, good enough sequel to the first film. Ooh, there is also a short film called Piper before the film which was just adorable! Have you seen this film yet? What did you think of it? Hey everyone, hope you're having a good week. I AM! But I think I'm gonna update you all with an actual proper post later this week, I'll see. Today I am reviewing Rimmel's liquid eyeliner, something which I've used for many years now and it's an old favourite of mine for sure. First of all, the packaging is fairly simple but I like it. You don't need alot of product for your eyes so each bottle does last you a good while and it's a good travel size too. You get alot of product in each bottle so you have to be careful when you open them and scrape a little off the wand before you apply it. 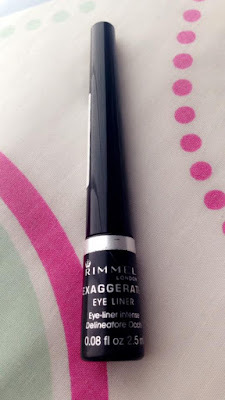 The applicator is great, it is very sturdy and doesn't slide everywhere like other eyeliners. 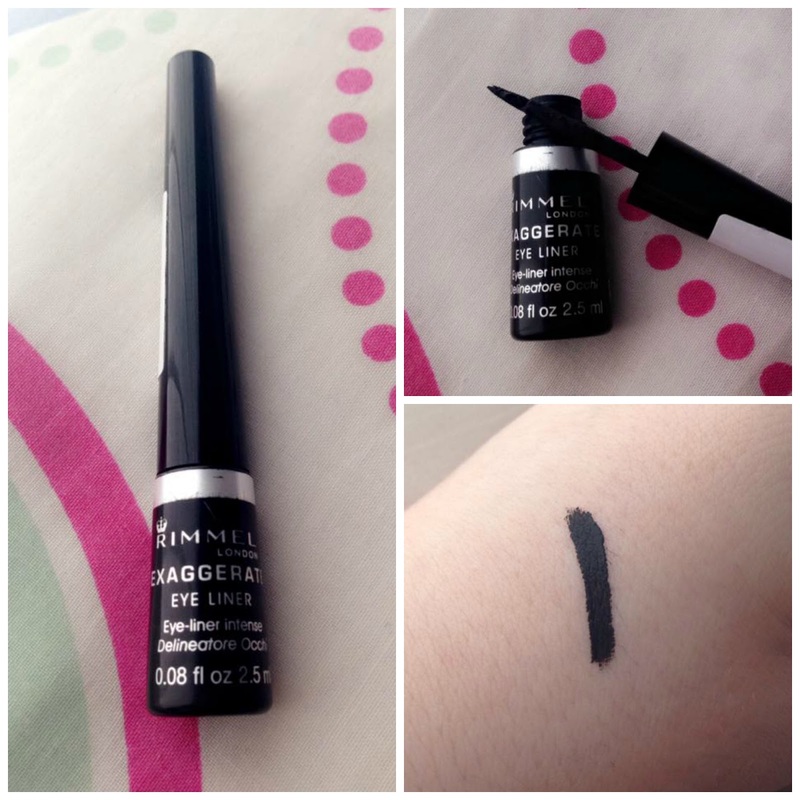 I know people often struggle with liquid eyeliner but this is the perfect to start with because you can press as hard as you like and it doesn't shift much. You have complete control and the applicator allows you create the precise and smooth look that you want around your eyes. 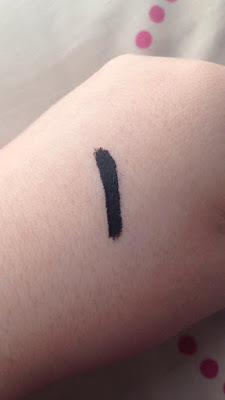 The product is a very pigmented liquid and it is a bold, strong colour which lasts on the eyes even when it dries. 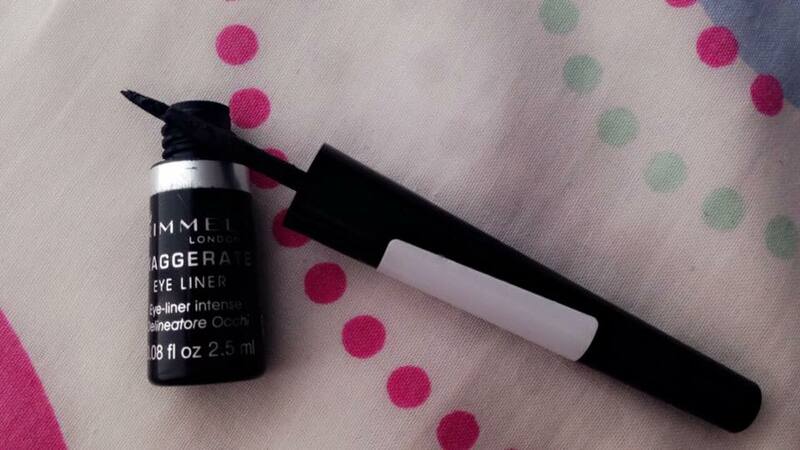 It dries very quickly so you have to be quick and precise with what you want on your eyes. It lasts for a good while but 16 hours that Superdrug state isn't very true. It smudges and flakes a little after about 9-10 hours but that's still pretty good by my standards. I don't usually have my makeup on for near 10 hours anyway! Plus, it comes off really easily with makeup wipes, cleansers etc. 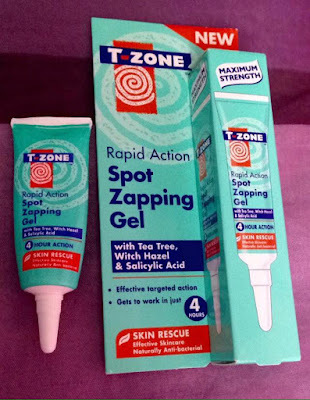 Have you used this? What do you think of it? Book Review: The Magpies by Mark Edwards. Hey, everyone. Sorry for being AWOL, just had alot on with job hunting and sorting out graduation things since finishing university. Feels like the stress is building up even more now that I've left uni! But I have a book review for you all today, so let's get into it. 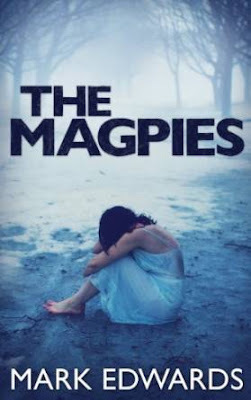 This is The Magpies by Mark Edwards and it is well worth a read! I will give you some background without spoilers, of course, and then what I thought of it. The Magpies is about a couple, Jamie and Kirsty, who move into their first home together - their future filled with plans to get married and have children. Their neighbours seem friendly enough who all warmly welcome Jamie and Kirsty to the building. However, this new happiness doesn't last long as strange things start to happen to Jamie and Kirsty like dead rats being left on their doorstep, hearing disturbing noises, getting hoax calls and packages and much worse. As Jamie's best friend, Paul, is injured in a horrible accident, the couple find themselves being targeted. Jamie vows to fight back but has no idea at all what he is up against. I thought this book was a good psychological thriller where the evil isn't any demons or monsters but rather the couple's own neighbours. It starts with Jamie and Kirsty's seemingly perfect and idyllic lives which get completely turned upside down. It shows how little it takes to have everything taken from you which made this book all the more creepy! The characterisation is well written yet shows how easily it is going to be all thrown into turmoil. Edwards subtly keeps the feeling of dread moving throughout the novel with ease as you wonder what the culprits are going to do next. The campaign of terror is tense and horrible as you continuously read all about what the abusers do to Jamie and Kirsty, some of it will make your skin completely crawl. Not only that, it was all psychological rather than actual physical scary stuff so you couldn't even be sure whether some of these things where actually happening or whether it was the characters imagining them thus keeping you, the reader, on edge and questioning what's going on. The ending was pretty good and neatly tied things up with some answered questions from Edwards himself at the end of the book. It had me gripped from the get go and I have no doubt it will have you feeling the same if you love thrillers like these. What makes it even more scary is that this is something that could possibly happen in real life and actually has to the author himself as he explains at the end. Horrifying stuff! A brilliant solo debut novel from Mark Edwards, highly recommended! Get it here for £7.64! Have you read this? What do you think of it? 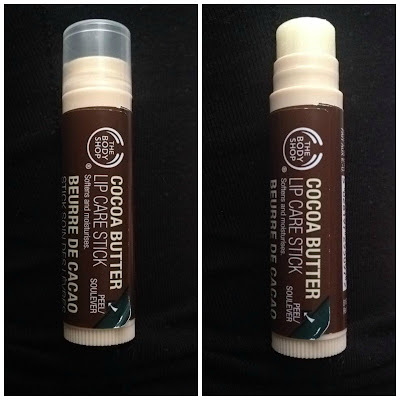 Skin Product Review: The Body Shop Cocoa Butter Lipcare Stick. Hi everyone, hope you're well and enjoying the weekend! I have another little review for you today and it is something a little new from The Body Shop. Hydrogenated Coconut Oil (Emollient/Hair Conditioner), Cera Alba (Beeswax) (Emulsifier/Emollient), Olea europaea (Olive Oil) (Emollient), Candelilla Cera (Candelilla Wax) (Stabiliser), Theobroma cacao (Cocoa Butter) (Emollient), Aroma (Flavour), Prunus dulcis (Sweet Almond Oil) (Emollient), Tocopheryl Acetate (Antioxidant), Aqua (Water) (Solvent/Diluent), Propylene Glycol (Humectant), Chamomilla recutita (Chamomilla Recutita (Matricaria) Extract) (Natural Additive), Ammonium Glycyrrhizate (Flavour), Calendula officinalis (Calendula Extract) (Natural Additive), Tocopherol (Antioxidant). This lip balm is easily one of the best products I've ever used. It is a very easy product to use and does not leave any mess and literally does the job. I don't suffer with dry lips that much really, maybe more so in the winter time but I never realised how much better my lips could be if I just took a bit of care with them. I've been using this for a good few weeks now, I apply it in the day if I'm not going anywhere and I apply it before I go to bed so it can work overnight. My lips are completely clear of any dead skin and they're the softest they've been in years. What's more, it's all natural ingredients instead of stuff you get in Vaseline which isn't actually that good for your lips apparently. I would highly recommend this over any Vaseline lip balm for sure. My only criticism is the size of it. It's £4.00 and it is pretty small for the price as it could easily be 1 or 2 quid instead. But I suppose for all natural ingredients and amazing results, it's well worth it. It's easy to travel with as well so definitely take it with you especially if you're going on holiday. Book Review: Broken Harbour by Tana French. Hello everyone, having a good Sunday? I've got a book review for you all today! It's the first book I've read in three years that hasn't been a uni book. It felt so good to finally read something that I actually want to read. This is Broken Harbour by Tana French and it was such a bargain! I got it for like £1-2 in some shop that was getting rid of everything when it's just under a tenner online. So, let's get into the review! 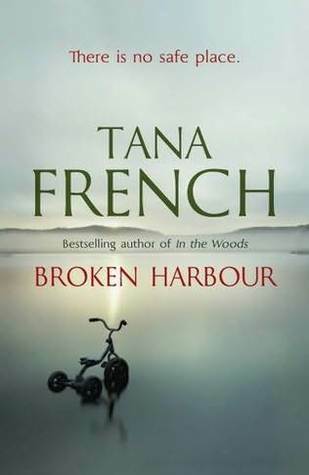 Broken Harbour is the fourth novel of the Dublin murder squad by Tana French. I didn't know it was part of a series but it doesn't matter too much, because the books are told through different perspectives from various detectives on different cases which sounds good so I'll have to pick up the other ones soon! Anyway, Broken Harbour is about tough cop, Mick 'Scorcher' Kennedy, who sticks to the rules and works hard at his cases. He is Murder Squad's top detective which is why he is handed the biggest case yet by his boss, O'Kelley. He is famed for keeping control of everything but he is troubled by his dark and tragic past. His new case is about a family called the Spains who have been murdered apart from the mother Jenny who is in intensive care. The father Patrick and the two children have been brutally murdered on one of the half-built/half-abandoned supposedly luxury developments. At first, Kennedy and his rookie partner, Richie believe it's going to be an easy solve especially as they get a particular person in custody. But there are too many things that aren't as easy to explain such as the half dozen baby monitors, the cameras which point at the huge holes littered around the house. Not only that, the computer has been completely erased of all files and the story Jenny told her sister Fiona about an intruder who has been coming into the house, slipping past all of the locks and alarm. Also, Broken Harbour, now called Brianstown, holds alot of memories for Kennedy and as his deranged sister, Dina, turns up and sends everything down the drain for him again, he is being constantly reminded of a tragic incident that happened when he was a child and he begins to lose control on things which, naturally, affects his handling of the case. I don't usually read crime stories but this one was good, very psychological thriller-like! But I will say right now if you have any sensitivity towards particular issues such as suicide, depression and blood, this is your warning now because there is alot of detailed descriptions of such subjects which may be triggering. This is a complex yet well-written book full of emotions and secrets. The crime is brutal in its nature and Tana French doesn't hold back with the details. Not one scene is hurried or shoddy. However, this doesn't work for French sometimes because some scenes could definitely be shortened because some moments became a little bit tedious but not overpoweringly so. She does so well describing Broken Harbour aka Brianstown as a haunting place of hopelessness that was once full of rich, vibrant people looking forward to a new future. It leaves you with a feeling of creepiness that makes you glad you don't live there! Around halfway through the book, it becomes harder to figure out who the murderer is and there are two distinct suspects. One of them is the prime favourite and the other suspect is the father himself, Patrick Spain. The narrative twists and turns are done so well that you are torn between who actually committed the murder. Not only that, when Dina (Kennedy's sister), comes onto the scene and throws Kennedy's world off balance when he should be focusing all of his energy into the case, it gives you an insight into what Kennedy's life is really like and what he has been through. The books picks up pace just after halfway and scene after scene builds up the tension of who the suspect is, what motives are there and just what happened in Kennedy's past to make him and Dina the way they are. It is highly gripping and has you glued to the book all the way to the end. The climax is ultimately emotional and shocking. French writes so well that no detail is left out and each character is brought to life perfectly in the 544 pages. Well worth a read! If you have any recommendations for me, let me know! 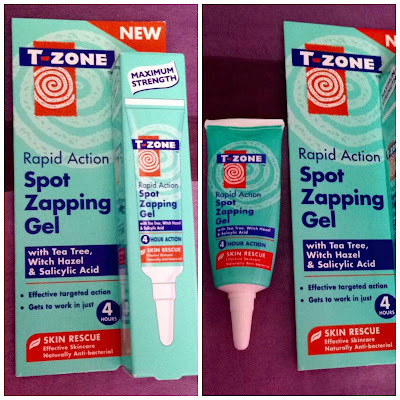 Skin Product Review: T Zone Rapid Action Spot Zapping Gel. Hey everyone, hope you've had a lovely Sunday so far. I have, it's been my first laziest Sunday that I've had in months! I used it to relax, watch a couple of films and chow down on some Chinese food! Heavenly! But, let's get into a review I have for you today. This is helpful for those who suffer with acne like me! Actually, it's still worth a read even if you're just interested in discovering different products. So, let's go! Overall, I like this product alot. The packaging is cute and easy to use. It allows you to control the right amount of product to use and it's easy to travel with if you're going on holiday or doing a fair bit of travelling. I do advise only squeezing out small pea-sized amounts for each spot as it spreads really well and too much can make it take longer to dry and make the area a bit crusty! The product is a gel with a blue-ish hue to it and it's fairly watery so just a small bit goes a long way. It does smell a bit actually which I'm not a fan of! Any spots that are near my nose makes the scent really go up my nose or any that are near the top of my cheeks, a.k.a close to my eyes, make my eyes water like crazy but this doesn't last long. But I'm not usually affected by these things or sensitive to such scents so I would keep that in mind if your skin/eyes/nose are more sensitive to these things than I am. The results are not amazing, unfortunately. The product doesn't really "zap" any spots away completely and make you have clear skin within a day. But daily use does show some results. I noticed that my smaller spots went alot smaller and reduced the redness. The bigger spots were a little bit reduced and alot of the soreness and redness were reduced also. But it doesn't get rid of them, unfortunately so I would combine this product with any face wash you like and cleanse and tone. Just take care of your skin really and do it daily. It was something different to try as I am always looking out for new things to try to help me get rid of my acne for once and for all. Anyone who suffers from acne or constant breakouts knows how much spots affect your confidence and how much it is annoying to spend money on numerous products in the hopes something will do the trick!! Have you used this before? What did you think of it? 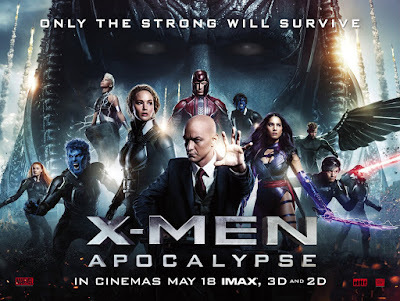 Film Review: X-Men: Apocalypse (2016). I decided to take a break these past couple of weeks because I was SO busy with my end of year uni assignments and I handed my last one EVER on Monday. So I'm done with uni forever now so I can get back to regular blogging. I have missed it! Let's go! So, I finally saw X-Men: Apocalypse last night with my brother and it was pretty good. I'll tell you what it's about and what my full thoughts were on it. The first and most powerful mutant, Apocalypse (Oscar Isaac) has been worshipped as a god since the beginning of humanity. After being awakened after thousands of years, disillusioned, he recruits a broken-hearted Magneto (Michael Fassbender), Psylocke (Olivia Munn), Storm (Alexandra Shipp) and Angel as his four horsemen. He and his gang of mutants are ready to create a new world and they want to destroy the current one which brings Professor X (James McAvoy) and Raven/Mystique (Jennifer Lawrence) together to lead a team of young, teenage X-Men to stop their seemingly immortal nemesis from destroying the world. Overall, I thought the film was pretty good and the special effects were spectacular as usual. However, the storyline was fairly standard and nothing new at all. It's the same-old thing of a guy trying to take over the world and it somehow involves Magneto as always. The storyline lacked a little bit of punch or originality and I felt like it was hastily and messily put together to be able to climax for the final fight. Oscar Isaac as Apocalypse was incredibly intimidating and he scared me a few times actually! His powers were epic and he was definitely someone to be wary of. Character-wise it was really great to see some new characters and some familiar ones but in their teenage years. The four horsemen were pretty cool but I felt like Angel did not have enough fight scenes and wasn't used to his full potential. Kodi Smith-McPhee was brilliant as Nightcrawler as was Tye Sheridan (Cyclops/Scott), Jennifer Lawrence (Mystique/Raven) and James McAvoy (Professor X). Michael Fassbender as Magneto was heartbreakingly good. His acting skills always blow me away and you actually feel some sympathy for his character in this film (I won't give anything away!). But Sophie Turner as teenage Jean Grey and Evan Peters as Quicksilver stole the show for me. 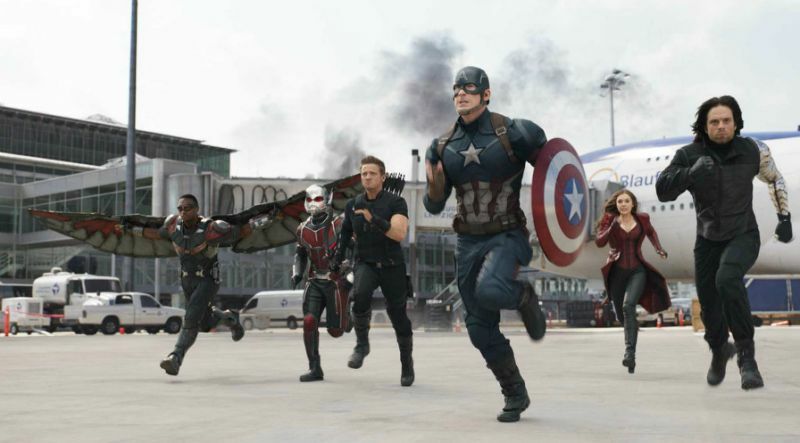 To the delight of fans, there is a another slow motion scene where Quicksilver is involved. I won't spoil anything but it was really funny and so, so cool! His one-liners and humour are nice touches to the film. Sophie Turner did really well as Jean Grey, especially in the final fight which was just awesome. To bring Jean Grey and her inner demons to life is probably hard to do but Turner did a brilliant job and I loved her in the final scenes. There was a certain cameo too by a beloved X-Men character which was fabulous to watch, I won't spoil it unless you've seen the trailer and you know exactly who I'm talking about. The film itself was actually a bit more graphic and bloody than the previous X-Men films! There was times where I genuinely winced and squirmed at some of the scenes. But I pretty much liked it overall, X-Men films are something I'm always going to go and see I think. The ending and after-credits scene led me to believe that we haven't seen the last of the X-Men clan yet. But I'm hoping they will do better storyline-wise but I know I can't get enough of mutants and their powers so I'll be sure to see more future X-Men films! Have you seen it? What did you think of it? 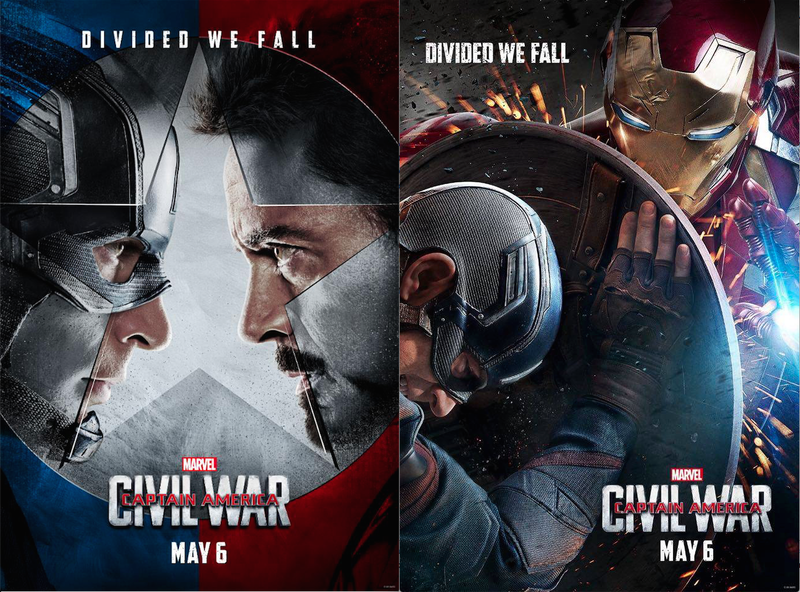 Film Review: Captain America - Civil War (2016). Hi everyone, hope you're good. I finally saw Captain America: Civil War today. Civil War is about a political system that pressurises the Avengers to take accountability for their actions that have caused collateral damage and the death of innocent civilians. The Accords Act splits up the team with Captain America/Steve Rogers (Chris Evans) believing that superheroes should remain free to defend the world without government involvement whereas Iron Man/Tony Stark massively disagrees and supports the Act. The debate escalates into an all-out free-for-all between the superheroes, making the likes of Black Widow (Scarlett Johansson) and Hawkeye (Jeremy Renner) pick a side between their friends. I liked this film ALOT, I had no doubt that I would. It was a little different and hard to see the superheroes fight each other rather than come together to take down an evil force. I really liked the fact that all the way through the film, you are never 100% what side you are on. For most of it, I was on Cap's side but then there were moments, particularly towards the end, that made me sway towards Stark's side. There was a few cameos that were great such as Martin Freeman turning up as Everett Ross and with the almighty Stan Lee as always. The two new characters: Black Panther and Spiderman made a hell of an impact. Spiderman's introduction was great. 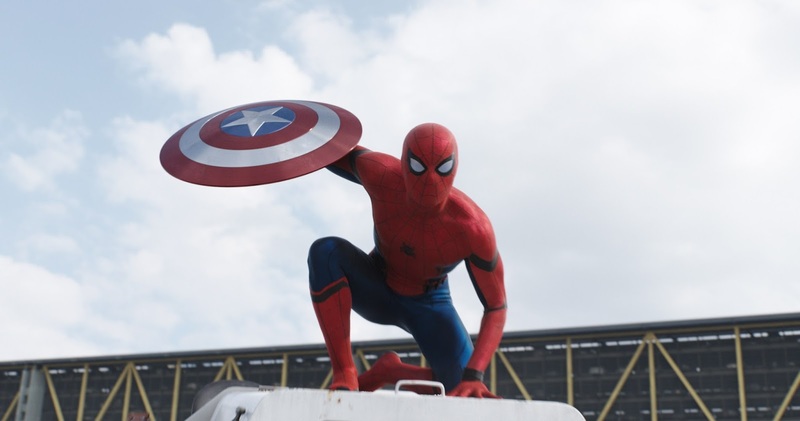 At first, I wasn't too sure about the casting choice but Tom Holland proved what a fab, new addition he is. He brought something different to the film and also integrated some comedy proving how young and nerdy he is which works a treat for the Spiderman fans. I haven't watched any other Spiderman films, Tobey Maguire was Spiderman for me but it was refreshing to see a new take on the superhero. Black Panther was a force to be reckoned with in this film. His introduction was absolutely fantastic and he was silent, lethal and unbelievable to watch. 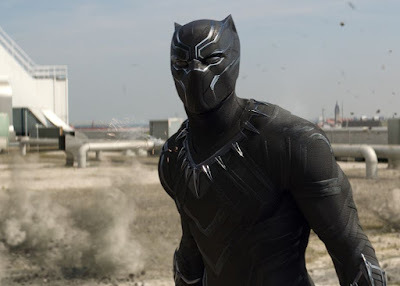 Chadwick Boseman did a fabulous job bringing the character to life and his storyline. 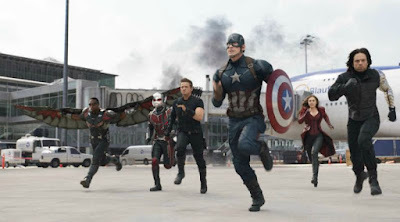 The chase scene between him, Bucky, Captain America and Sam Wilson/Falcon was pretty thrilling! The two major fight scenes between the teams were great and different for various reasons. The first big face-off, a mass battle in a German airport, was pretty cool. Steve Rogers had Hawkeye, Ant-Man, Wanda, Sam Wilson, Bucky and Tony had War Machine, Vision, Black Widow, Black Panther and of course, Spiderman. This fight was pretty great and hilarious. Alongside the punches and kicks, there were some great one-liners which toned down the seriousness of the fight. It became more of an Avengers film rather than a Captain America one, although Hulk and Thor (I'm assuming he's fighting his own battles which we will see in Thor 3!) were nowhere to be seen and were only mentioned briefly. Spiderman really came into his own here and excelled his fighting skills but also showed how naive and innocent he really is as he doesn't stop to listen to Cap's side. Ant-Man was still great to see after his own solo movie went down a treat with me. I felt like he could've been used more in this film, there was so much potential for him and I don't think they used him as much as they could have. The second fight was between Stark, Rogers and Bucky which was much more intimate and genuinely more painful to watch. It was hard to see your favourite characters go head to head with each other and really throw some hits that make you wince. There was no comedy here, just pure raw emotion and pain. It was an emotional climax to the entire film and you find out and see some things that really shock you. However, I felt like the ending was a bit anti-climatic after such emotional scenes and it felt a little rushed but it was a cliffhanger which makes you think what state are the Avengers in now? The film could have been wrapped up a little better and the entire film did not seem like a civil war really, it was more of a squabble between superhero friends which turns more serious and emotional later but not into an all-out war. Perhaps I am the only one who feels this way but I still loved the film. I left the cinema feeling like I was on Team Cap and so did my brother. It was a great film but Steve did make me wonder about how far he would go for Bucky which was scary at times but I also understood his position more than Stark's. It was a great film and the actors, who are now so in tune with their characters, each played their scenes so well. Even when they were being overshadowed by Cap or Stark, the supporting cast such as Black Widow, Hawkeye, Ant-Man, Falcon etc. each did well and added their own humour to the scenes. Also the two post-credits scenes were great to watch, so stay for them! Have you seen this? What did you think of it? Album Review: Beyoncé - Lemonade. So Beyoncé has finally blessed us with a new album after three years. 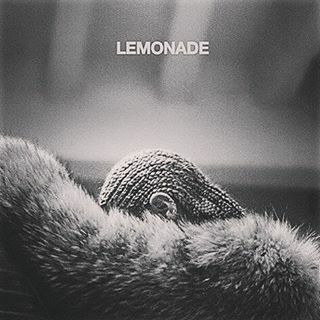 The album, titled Lemonade, came a surprise. It was released onto Tidal right after the airing of her new HBO film of the same name. The film was an hour long and served as a visual companion to the album, telling us the story of a woman's heartbreak over a romantic betrayal with Queen B narrating throughout. Throughout the film, there were clips of Beyoncé performing the new songs with themes of rage, heartbreak and forgiveness. Each stage of the betrayal was shown throughout, labelled: intuition, denial, anger, apathy, loss, reformation, forgiveness, resurrection, hope and redemption. Lemonade has 12 songs, including the empowering Formation which Beyoncé debuted at the Super Bowel halftime show with Coldplay and Bruno Mars. This album is definitely one of her best and it came as a shock to me that it seems like Jay-Z cheated on Beyoncé, if not a few times? I mean, man, you have Beyoncé, what more could you want!? I was surprised to learn that she forgave him considering she's made a song similar to this experience.. Irreplaceable, anyone??? Anyway, Sorry and Sandcastles are definitely my favourites so far. Sorry is a great unapologetic I-don't-need-you anthem and the beat is just fantastic and it also had Serena Williams featuring in it, twerking and showing what she's got! Sandcastles is stunning because it is completely stripped of all the technology and beats. It's just Beyoncé and a piano, her voice is just unbelievable and blows me away every time. The film itself was a work of art. However, I'll be honest and say that some parts were better than others. I didn't enjoy every song, perhaps I need to listen to them more for me to like them. Some parts I did not understand at all but overall the concept of the film was clear to me and was beautifully done. At one point, Beyoncé spoke/sang about the troubles black women have and what black people go through in general. The mothers of Trayvon Martin, Michael Brown and Eric Garner also starred in the film, holding up photos of their beloved sons whose lives were taken away so unnecessarily. That part definitely broke my heart for sure. Other well known faces pop up throughout the film.. Zendaya, Serena Williams, Jay-Z and little Blue Ivy just to name a few. This film and album was unique and thought-provoking. It is definitely something new and refreshing from Beyoncé even it is about Jay-Z's infidelity and her heartbreak. I feel like her style of music has definitely changed but she is still way ahead of the game by bringing attention to the problems black people face and being honest that her marriage isn't 100% perfect. She is still showing everyone why she is the Queen and her creativity is just a testament to how hard she works to bring us something new and awe-inspiring. I would love to read what you thought of her new album and how you interpreted the film! Let me know what you thought in the comments below. I'm Laura, 22, from Liverpool and I'm a lover of books, fashion, music, films, makeup, pop culture and blogging!